Lisa Edmonds is a licensed and registered Occupational Therapist who received her Master of Science in Occupational Therapy from Temple University in Philadelphia, Pennsylvania. While on the east coast she worked in a Level 1 Trauma and Burn Center specializing in the treatment of hands and upper extremities as well as stroke and traumatic brain injury. She moved to New Mexico in 2002 and has worked in Albuquerque in a variety of outpatient orthopedic rehab settings specializing in hand, wrist, elbow, and shoulder conditions ranging from chronic to traumatic and post-surgical. She has taught splinting in the University of New Mexico Graduate Occupational Therapy program and fabricates custom splints for patients in her current practice as needed. She is a Certified Lymphedema Therapist, which enables her to treat swelling of the body often associated with surgery or cancer treatment. She is also trained to teach Pilates, an exercise form that she finds useful in correcting joint problems and pain associated with poor posture. 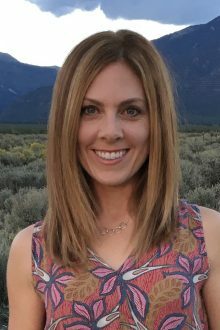 An avid skier and hiker, Lisa is delighted be living in the Taos area with her family and to be working with the excellent team of doctors, therapists, and staff in outpatient rehabilitation at Taos Medical Center.